Tagtool @ Gamecity 7 from Urban Projections on Vimeo. 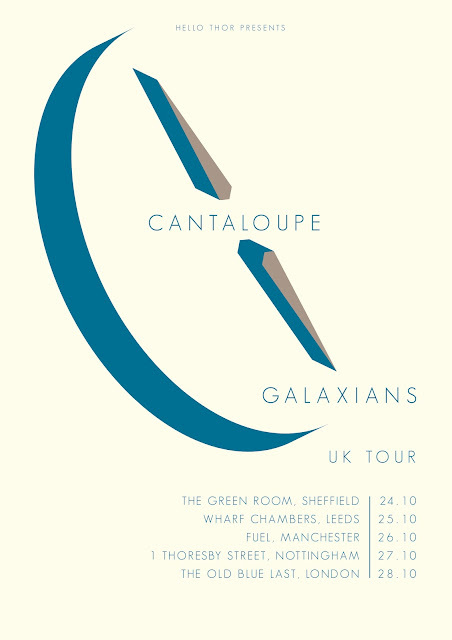 Did you come to our tour with the incredible Galaxians? If not, you missed out on 5 nights of ENDLESS BOOGIE and BUSINESS FUNK. Seriously, they were mind-blowing every night and it was probably our favourite run of shows OF ALL TIME. Matt and Jed are fantastic folk and we enjoyed their company as much as their unbelievable chops and jaw-dropping songs. Huge thanks too to everyone who put us on, put us up and generally ate and got drunk with us - you are too numerous to mention by name, but you are extremely dear to our hearts. We all had an awful lot of fun and are now paying for too many consecutive nights of fun by being generally knackered, ill and run down. These will be our last live dates for a short while as we finish up on recording and mixing a bunch of new songs that we've been prepping this year. But have no fear! We have grand plans afoot for a handful of live dates in a couple of months and then MOAR TOURING ACKSHUN next year! We had a blast at Music From Elsewhere at the weekend, despite being woefully underprepared for the freezing conditions by the time we got around to playing. We've now just about recovered from a brilliant and exhausting day. Much love to Lancashire & Somerset for hosting us and our huge contingent of fellow performers, friends and family from Nottingham... as well as the fantastic other acts on the day. NEXT UP: "LIVE AND LOCAL AT THE LOCK", courtesy of OXJAM - at The Navigation, Nottingham on Friday 12th October. We're hugely flattered to have been asked to play an event aiming to raise £500 towards a library. We'll be playing with a huge host of wide-ranging acts, there will be opportunities to choose the tunes between bands in exchange for a donation to OXJAM, and - most importantly - you'll be able to stuff your face with unfeasibly good food courtesy of the incredible Annie's Burger Shack until 8:30pm. Expect to see our stomachs groaning and a smacked-out look of satisfaction on our faces by the time we take to the stage. "Set in the beautiful South Shropshire Hills in an award winning Brew Pub. 14 or more bands over a night and a day all able to be accompanied by the joys of real ale brewed on the premises. "Camping is available a short walk out of the town centre as are many B&Bs . Also there is another brewery / 4 real ale pubs and artisan shops and countryside to get lost in - oh yes and the music!" This festival is being organised by the incredible Lancashire & Somerset label, otherwise known as Mr David Hand. Details will be forthcoming on their website soon, but in the meantime you can email hello@lancashireandsomerset.co.uk for more information. Mmmm... music, beautiful countryside, actual beer an the company of esteemed friends. Four of our most favourite things in life. Join us, why don't you? We gone dun an ninterview innit. But this time, instead of having to read our drivel in print, the responses are all in photographs. So you can enjoy some random snaps instead. And have a look around a cracking website. If you look at it on your fancy dan smartphone, try hold your phone portrait for a jukebox of all the bands they've featured, or landscape to see the photos! Put together by the mysterious and mercurial Mitch Gavell. Also, thanks once again to the highly excellent BBC Radio 6Music DJ Gideon Coe for continuing to champion our music. He is a very, very nice man - and even played our good friends Kogumaza t'other day to boot! Now can we have a session? Our "Teapot" EP hits all three and a half of the remaining record shops on earth. If you live in or near Nottingham, may we recommend you buy a copy from the fabulous Music Exchange? If you don't, how about ordering yourself a copy direct from Hello Thor's site? Hand-crafted by the immensely talented Clem Stamation. 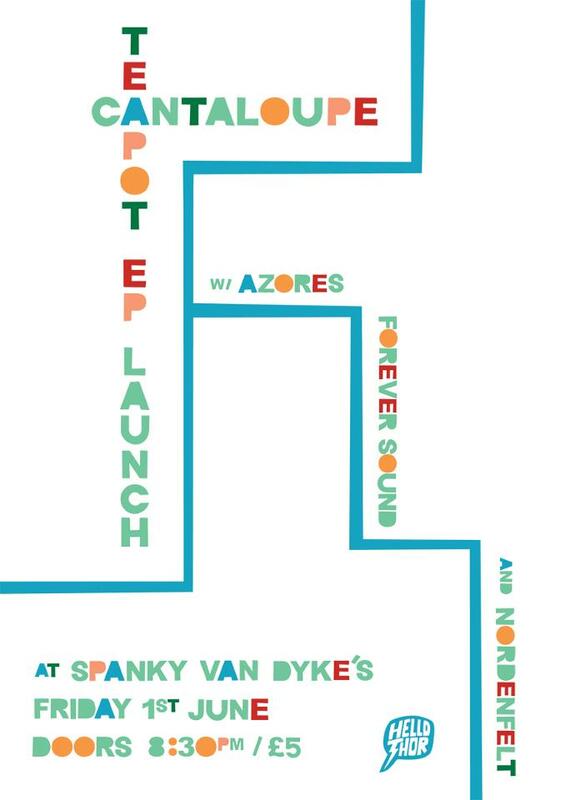 HUGE thanks to everyone who came out to the Teapot EP launch party and made it such a special night. We had an incredible time and Eleanor Lee, Nordenfelt, Azores and Forever Sound were all absolutely brilliant. Thanks too to FourbeatWalk, Hello Thor and our dedicated army of DJs and cake-bakers for making it super-sensual. Gideon Coe was good enough to play Scuttle on his show again tonight - cheers fella! That's right, we're gonna have a good time. We're gonna have a party. In Nottingham And you're invited. You'll be able to buy a copy of the EP a good 3 weeks before its official release date and we have a couple of surprises up our sleeves. Come! It'll be awesome! 02.06.12 | UK Tour darn sarf - get in touch! 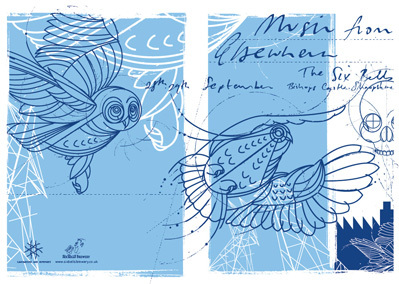 05.06.12 | UK Tour oop noorf - get in touch! As you can see, we've got a couple of gaps that we're trying to fill... we have things in the works, but if you're interested in helping us out, get in touch - we'd love to hear from you. You may have noticed from the videos of our performances at the Music Exchange and Holy Smokes! that we don't even need a PA! Excitement overload! Of course, if you can't make a show, you can always pre-order a copy of the EP from Hello Thor RIGHT NOW, by following this link and clicking on 'Records' under SHOP on the left-hand side. We had a great time on Saturday basking in the sunshine as we played our first ever outdoor show at Derby's Holy Smokes "Let's Get Lost" Weekender. Cheers to Jay and all the bods behind Holy Smokes for inviting us to play a load of songs and confuse the hell out of passers-by, skateboarders and small children on scooters. It also gave us an opportunity to unwittingly (almost) recreate the inside sleeve from ZZ Top's 'Tejas'. Awesome. By the way, if you didn't go, you missed RM Hubbert (again) and Aidan Moffat. Bloody hell. Oh, and Dean Jackson and the BBC Introducing team were good enough to play "Horse" from our forthcoming TEAPOT EP on BBC Nottingham/Derby/Leicester on Saturday night. Thanks guys! You can have a listen here - it's the first song after the news and weather. Just the way we like it. Courtesy of the excellent human beings behind Kneel Before Zod. or pre-order it from Hello Thor now! Fresh off the back of 3 glorious nights with our fab friends Papier Tigre (still on tour in the UK! Check 'em out! 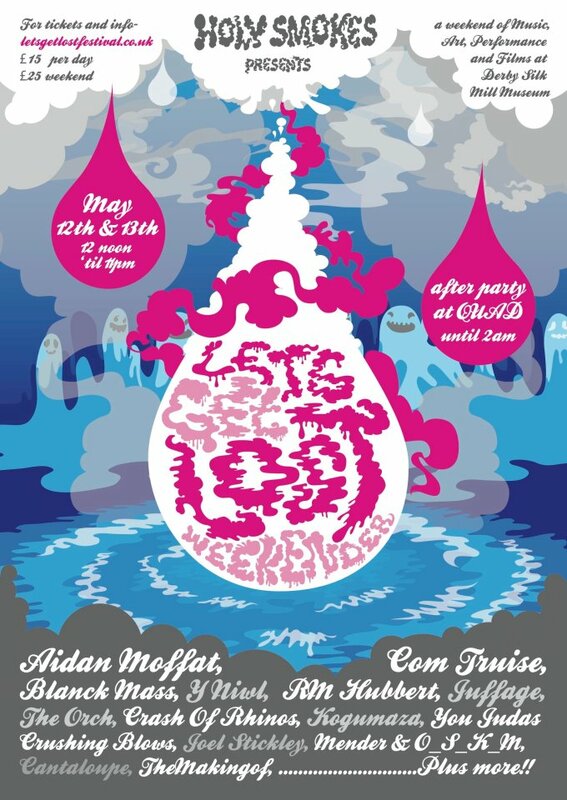 ), the highly excellent Holy Smokes collective in Derby have invited us to play their LETS GET LOST festival on Saturday 12th May, alongside the likes of Aidan Moffat, Blanck Mass and RM Hubbert - who had the Chameleon, Nottingham in the palm of his hand when he played with us last Friday. The whole day is a glorious collection of alternative music, art and film in the unorthodox setting of one of the world's first factory buildings situated in the centre of Derby, UK. The Holy Smokes guys have asked us to do something a little different, so - weather allowing - you'll find us opening the day for all you lucky, lucky people at midday on Cathedral Green. A MINIATOUR (mini-uh-tawr) (n.) (not to be confused with a minotaur, as pictured above) is the kind of tour that is undertaken a band featuring three overworked 30-something office functionaries with limited holiday entitlement . It lasts for four! whole! dates! and isn't even sequential any more. Yet despite its diminutive stature, it's still a bloody good thing, and we are tickled pink to be engaging in such a venture - especially in such stellar company. We'll be playing four shows with our esteemed comrades and highly regarded members of the IAOWB (International Association of One-Off Wedding Bands) PAPIER TIGRE, all the way from Nantes, France. And a further three with Scotch guitar thaumaturge RM HUBBERT. Dates are as follows - if you are one of the approximately 17% of the population that live either in London, Nottingham, Manchester or Derby you've really no excuse not to be there. We're delighted to announce that we'll be performing at Nottingham Contemporary as part of Record Store Day on Saturday 21st April. The show is being promoted by our comrades at Left Lion and The Music Exchange. We'll be sharing a bill with some of Nottingham's finest indie rockers in the form of FISTS and KAGOULE. And best of all, it's F to the R to the motherfucking double E.
Come along, buy a record, enjoy a cupcake, tap your feet mercilessly.